Rumors of the Sands Casino in Bethlehem, Pennsylvania being up for sale have been put to rest as the company announced it was standing pat. Reports circulated last month indicating that Tropicana Entertainment was in line to purchase the property. Those rumors have been quashed and instead the Las Vegas Sands Corp. will increase its investment in the Pennsylvania casino with plans of building a new hotel and convention center. The announcement comes just a few days after the Bethlehem Sands received a renewal of its gaming license by state regulators for an additional three years, The Express-Times reported. Later this month, the casino will celebrate five years in operation. Sands is headed by CEO Sheldon Adelson, who is waging war against online gambling in the U.S. through his Coalition to Stop Internet Gambling. While vehemently opposed to legalized wagering via the Internet, the 80-year-old billionaire continues to seek out locations for new land-based casinos throughout the world. 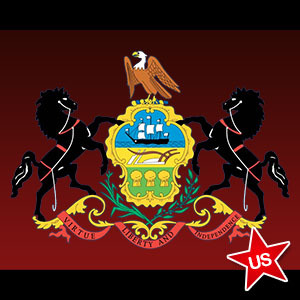 Pennsylvania generates the second-most bricks and mortar gaming revenue in the nation behind Nevada. They wrestled that position away from New Jersey in recent years and are now looking at following the Garden State in enacting online poker and gambling legislation. 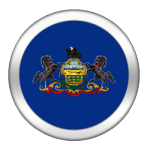 Last week, the Pennsylvania House Democratic Policy Committee held a hearing on online gambling that examined many of the issues that need to be studied when considering igaming regulations. Consumer protections, licensing, bad actors, and potential revenue were some of the matters addressed. Another issue that took center stage and is of great importance to every state that wants to increase revenue via online gambling is whether or not Internet gambling will cannibalize the revenue stream of land-based gaming operations. A senior VP at Caesars Entertainment, David Satz, testified that it will not. Satz told the policy committee that more than 90% of its Internet gamblers in New Jersey were considered new customers and could not be found within the database of players who routinely visit the casino. He further stated that evidence shows that the 10% of online gamblers who were identified as regular brick and mortar customers actually visited the casino more often, suggesting that online gambling may prompt gamblers to partake in even more land-based casino action. The Sands’ intention to invest in its Bethlehem property comes from a desire to keep in step with land-based gaming operations in nearby states on the East Coast. New York has plans to construct new casinos and is also considering online gambling legislation. New York’s new casinos will likely cause revenue to decrease in Pennsylvania. Turn around is fair play, as the reason New Jersey casinos have seen diminishing revenue for seven straight years is due to new casinos popping up in Pennsylvania.